Queens Memory is an ongoing program supported by Queens Library and Queens College designed to collect stories, images and other evidence of life in the borough of Queens. These records get a permanent home in the Archives of both institutions and are featured on the Queens Memory website where newly added materials connect with historic artifacts. Queens Memory also provides training and materials for anyone wishing to contribute interviews, photographs, or other records of their neighborhoods, families and communities. Queens Memory has worked with numerous faculty members and students on oral history projects and welcomes inquiries from all members of the campus community. 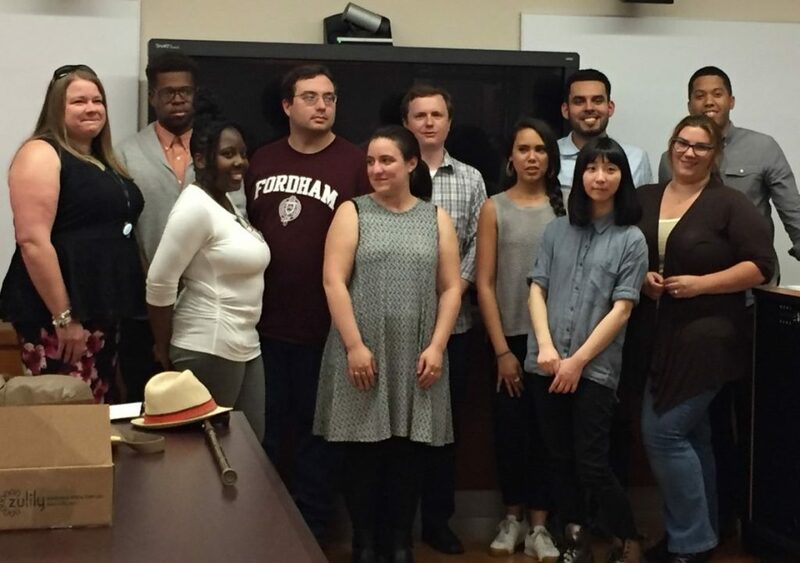 For information about free oral history trainings, fun public events celebrating local history, joining the Queens Memory volunteer corps, or collaborating with the Queens Memory team in your classroom, contact Queens Memory Outreach Coordinator Lori Wallach at lori.wallach@qc.cuny.edu.